New to the site and online. 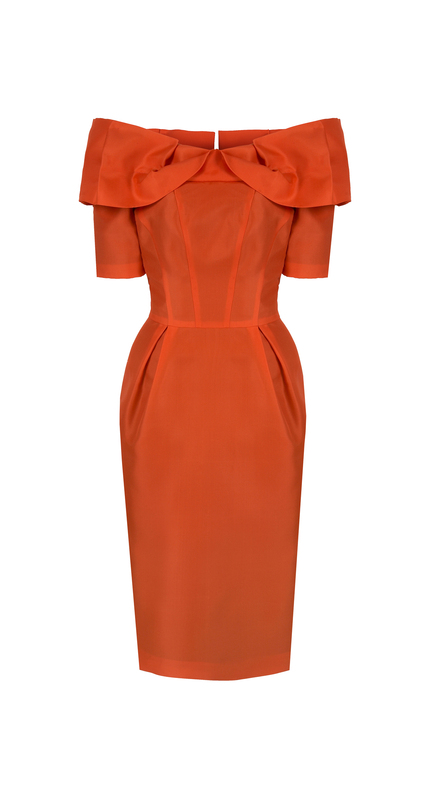 The most fabulous silk cocktail dress in a wonderful shade of orange. The 1950’s influence silhouette has a beautiful off pleated off-the-shoulder neckline and hourglass defining cut. A beautifully presented silk dress with immaculate tailor make.